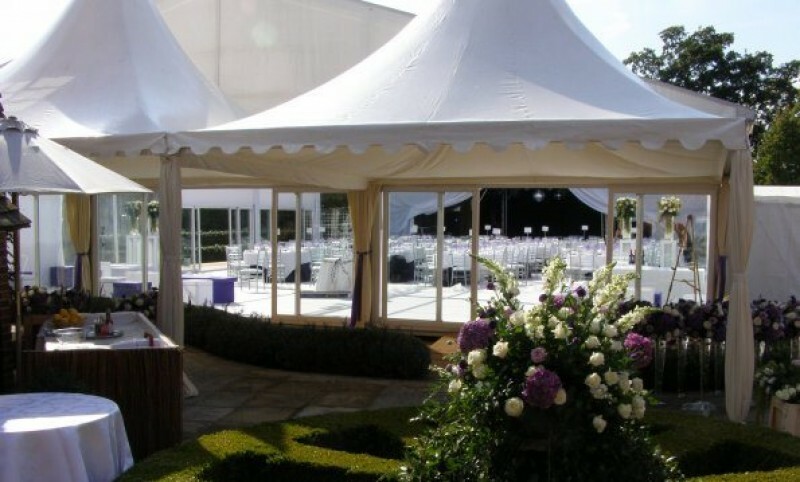 This elegant aluminium frame freestanding marquee offers stylish ambience out of doors. 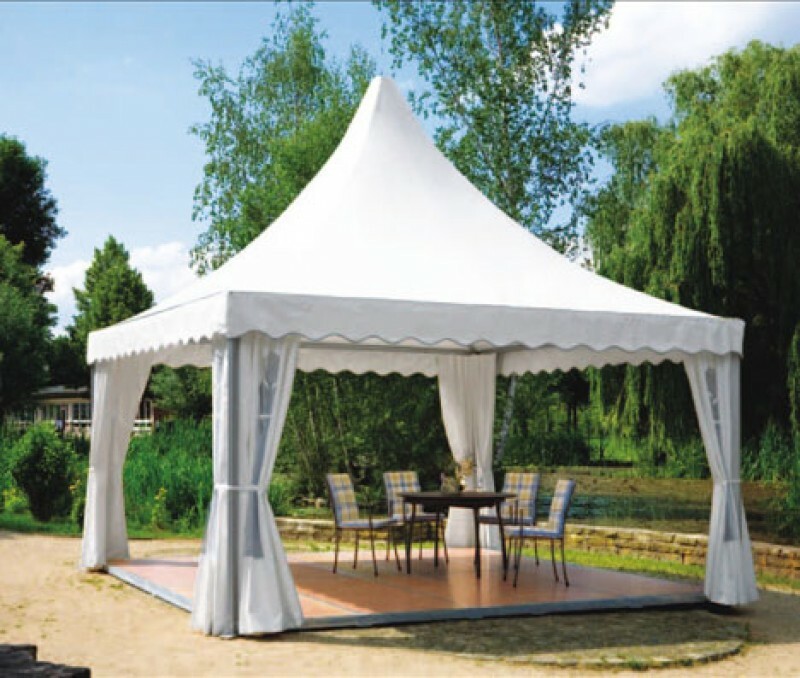 It is equally elegant as a single garden cottage or connected to other pagodas with rain-guttering in between, or as a walkway or registration area to a larger marquee. 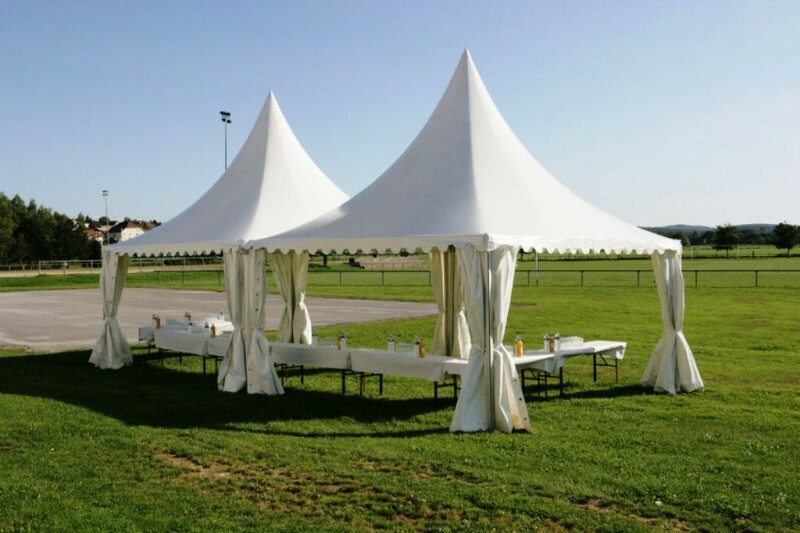 The legs are adjustable to allow for uneven surfaces, and the high quality PVC walls zip closed for a weather-tight barrier. If weather allows, the walls can be tied back for a classic, elegant look.